Timothy Richards has been making Architectural Sculptures for the last quarter of a century. Now in his eighth workshop he remains the only person living to have developed such work. The origins of this quality of plasterwork date back to the Fouquets who worked in Paris between 1780 and 1830. Tim has built a network of collectors in America and England over a quarter of a century. Education remains at the heart of Tim’s models. They will stand the test of time. Over 150 commissions have been completed in 25 years of business. See our full range of models available to order on our UK and US store sites. We also make a range of classically inspired interior design pieces www.modernsouvenir.com. 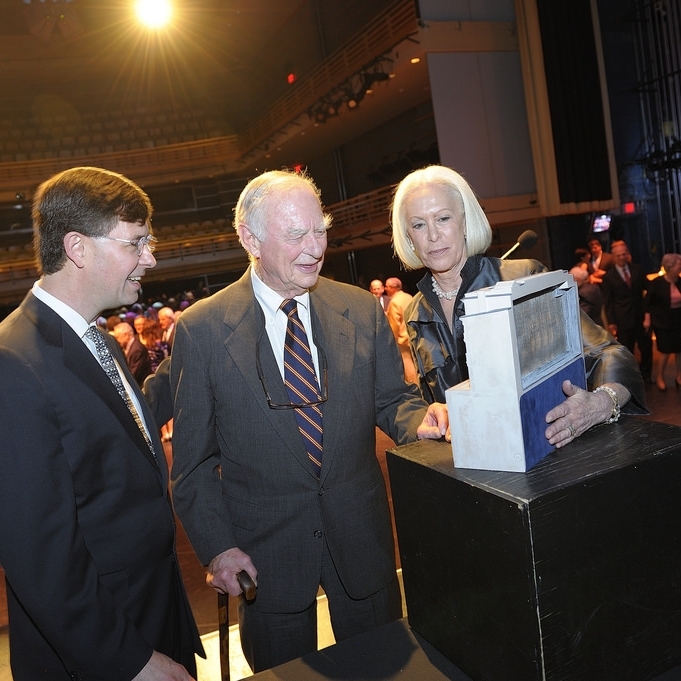 Mr Curtis receiving his donor gift for recognition of his support to The Curtis Institute of Music, Philadelphia USA. The Lord Mayor of London with his Mansion House model. This model has been used by the last six Lord Mayors as gifts when visiting countries around the world. Presented to Leon G, Cooperman for his humanitarian and philanthropic dedication to Israel and the Jewish people. A retirement gift for Lloyds TSB employee. The quality of the detail is fundamental to their power, as is the material and sensitivity of modelling. The people who build the models must know something of the architecture.